KPMG has confirmed stores in Exeter, Plymouth and Guernsey are among those to close. The shop in Princesshay didn't open this morning and a relative of a member of staff told Radio Exe staff had been told they had lost their jobs and should claim redundancy. 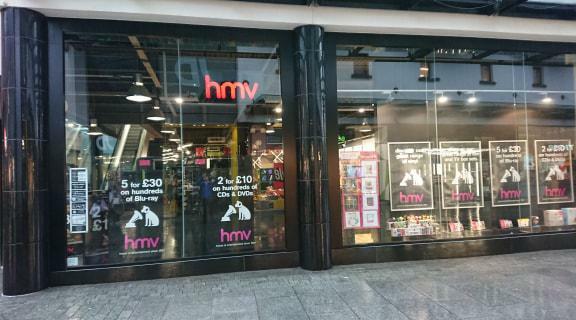 The chain went into administration in December and was bought by Sunrise records for an undisclosed sum. The company will keep open 100 stores - saving around 1,500 jobs. But around 450 people will lose jobs at the stores which are closing - including those in Devon.